by Paul Hinch (@paul_hinch) & Yatish Narsi (@YatishNarsi) Rebranding one of South Africa’s biggest brands, Absa, as a digitally led bank in a sector undergoing massive change — and launching it into Africa after global partner, Barclays, withdrew — has been a momentous undertaking and one of the most talked-about brand relaunches that the continent has seen in recent years. It’s required a deep dive into strategy and culture. The challenge was to take a leading brand such as Absa, that has gone through more than one rebrand iteration, and revitalise the brand identity to make it digitally led and approachable — to appeal not only to the market and consumers but to existing and the new staff, the Barclays employees — to create something new and fresh for the African market. It was about being brave, passionate and ready. Whatever the logo looked like, it had to speak to community, be holistic, inclusive, a 360 solution, nurturing. We needed to create something that could permeate and amalgamate two distinct brands across Africa. A ‘oneness’ was key, a sense of uniting a continent of colleagues and customers; being one entity with people inextricably at our core. The brand redesign has been about what’s behind the logo: the entire brand experience, new business strategy, and Absa’s move to being a digitally led bank and an African bank. At the same time, it has to work well as a tile on screens and phones as banking embraces the challenges and opportunities of the digital era. Most important is that Absa is a proper African bank, built through scale and philosophy, to become a human-centred bank, considerate of what its customers need. There’s an entire visual set is driving and supporting the meaning behind the logo, a visual language. We want the logo to be a word, not an acronym. We want a dynamic brand identity, fully integrated, a logo that comes to life, not an icon sitting in a corner. As part of the rationale of catering to an audience as geographically and culturally diverse as Africa, we’ve sought out a communications solution removed from language and syntax yet still capable of creating, conveying and deepening the meaning of our messages. A brand is about more than a logo; it’s about how you make people feel. We need to have these conversations around design, about what it is and how it looks and acts: it needs to mean something. 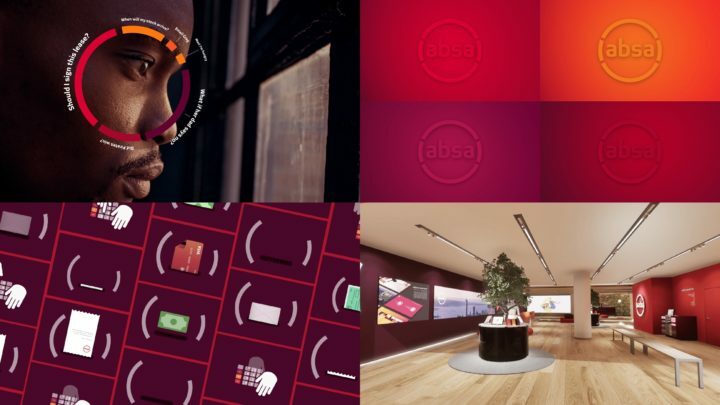 The Absa rebrand has been unprecedented in the number of touchpoints needed to be considered from an experience point of view. We looked at all brand asset: from how customers use the brand to the ATM housings, ATM sounds and animations; app sounds; frame animations for the TV commercials; curation of sound design, from mnemonics to audio haptic; the brand overlay on the digital interfaces; brochure holders; branch design; branch furniture; mobile ATMs; billboards; and the web interface to the bank cards. A notable aside is that the height of the couches in the branches have even been raised a few centimetres to make them more comfortable for patrons to sit on. The brand is intended to operate as a principle-based one, meaning that other creatives may take elements of the brand and adapt it and let it communicate as they need it to in other spaces. The bespoke colour palette developed has a wide range of ‘reds’ to allow for that creativity, or even climate impact on outdoor branding or colour variations in printing; it also provides a nuanced experience of the colour that isn’t absolute. Colours range from ‘passion red’ to ‘smile red’ to ‘surprise red’ and ‘calm red’. Generally, banking is a category of compliance, risk management. That’s what you do. How you make people feel is at the core of this iconic rebrand. Absa represents “Africanacity”, which stands for entrepreneurial, pushing boundaries, flexible and expressive. It is a new mindset for the organisation, culturally. The primary focus is how customers engage with the brand and how the brand makes them feel. This is the culture for brands today and the new human-centred approach of Absa. 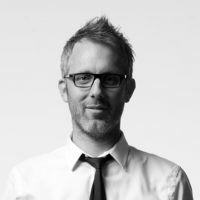 Paul Hinch (@paul_hinch) is ECD and partner, and Yatish Narsi (@YatishNarsi) is chief experience officer at GRID Worldwide. Paul has worked on brands such as African Bank, ACSA, Brand South Africa, Boardmans, BP, B&G, Converse, eBucks, Edgars, FNB, IMC, Investec, KFC, Liberty, MTN, Nissan, Skye, South African Tourism, Ster-Kinekor, dti, Uganda Telecoms, and Virgin Mobile. 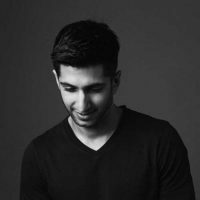 Yatish has worked with Standard Bank, the TFG Group, Due South, Markham, Tile Africa, Wimpy, Steers, Mugg & Bean, Nandos, MTN, Jet, Coricraft, and Toys R Us. Both have worked on Absa, obviously. Of all the branding work I’ve seen since the inception of GRID, this must be my least favourite. “I’ve always been a massive fan” Besides the on-point tone of voice, color palette, and ideology around the rebrand, the typeface and logo ligature lacks that’ tenacity & african ingenuity of getting things done. Unfortunately, as much as I’d like to view the rebrand from an holistic approach in its entirely, the logo & typeface are the most rare/honest reflection of what is meant to be. In fact, its the 1st contact point, delivering something different from the its proposition. For that reason, I have to say, I see a sophisticated young European brand, not African, and definitely not digitally led. Don’t get me wrong; GRID has done some incredible work in the past, ranging from retail to bespoke. They’ve always been a global leader, always representing Africa and for this, I’d always be a fan.